Until recently, Balkan wines didn’t have the reputation they could have because quantity outpaced quality. Over-production of wine in the Pyrénées peninsula is flooding supermarkets with wines in cardboard boxes. But real jewels also come from Spain. S pain is sometimes called the wine tank of Europe. Its vineyards cover the largest area in the world – more than 1,200 hectares. However, the great river that flows across the Pyrénées to Europe has been improving in quality in recent years. Laws brought order to elemental chaos, young, well educated specialists brought high quality, and modern technologies brought new processing for new plantings of cultivated clones of traditional varietals. In the last third of the 20th century, Spain adopted laws that precisely delineated individual wine categories and origins, setting the minimal amount of time for aging in casks and bottles. So it’s good not let yourself be distracted by captivating labels and names, but to carefully read the fine print. The base of the wine pyramid is made up of table wines – Vino de Mesa or Vino Comercal – while Vino de la Tierra is one degree higher, as its regional origin is guaranteed. 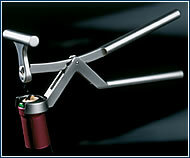 Wines from selected regions are marked DO (Denominación de Origien), similar to the French AOC marking and the Italian DOC. There is an even higher degree, DOCa (Denominación de Origien Califacada), the first of which was awarded to wine makers from Rioja. Other markings refer to the wine’s age and aging period. Crianza is aged for at least six months in oak barrels and then another eighteen months in bottles. 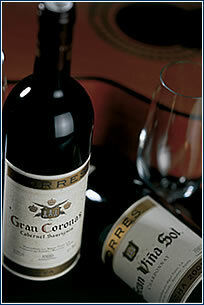 Reservas are aged at least a year in barrels and another year in bottles stored in cellars. Grand Reservas are selected by wine makers from the finest grapes from selected vineyards and excellent vintages and aged in new oak barrels (barriques) made in the US or France for at least two years, and another three years in bottles. As opposed to excellent French wines that should be left to age for years following purchase, the top Spanish wines are put on the market in a state that allows their immediate consumption. On 20 and 21 June you can taste the finest wines, mainly from the Czech Republic. The wine show is being organized on the occasion of the 400-year anniversary of the Lobkowicz castle winery in Roudnice. Viňedos de Miguel Torres 2001, Gran Viňa Sol, Chardonnay, oblast Peňedés D.O. A markedly flowery bouquet with peach tones. A complex and harmonious wine that goes especially well with sea food (85% Chardonnay, 15% Parallada). Available at: vinotéka Almaviva, Hergetova cihelna, web.edb.cz/almaviva. Valduero Crianza 1999, odrůda 100 % Tinto Fino, oblast Ribera del Duero D.O. A pleasant, elegant, fresh wine with nice fruity tones, excellent with roasted and grilled meats. Content: 85% Cabernet Sauvignon, 15% Tempranillo. A sensual wine with the flavor and aroma of ripe grapes and dark fruit marmelade. Compact but smooth, excellent with game or red meats. Coto de Hayas Crinaza 1998, oblast Campo de Borja D.O. Content: 60% Granacha, 40% Tempranillo. This wine has received awards at international shows for its crystal-clear ruby color, harmoniousness, fullness, and fine aroma and flavor.